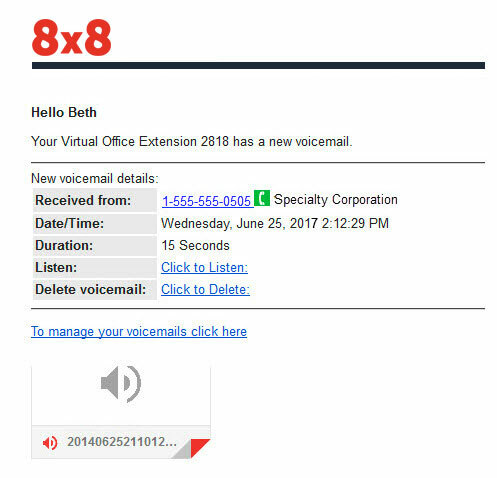 Voicemail to Email | 8x8, Inc.
Voicemail-to-email is great way to save time and be more responsive to your clients. 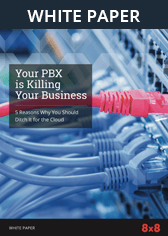 It’s included free with your 8x8 Virtual Office business phone system. Get an instant email notification with the audio file attached every time someone leaves you a voicemail. Hear it on the spot without calling into your voicemail box. The email includes the number of the person who called, so returning calls is quick and convenient. Choose your notification preference: email with audio file, email notification only, email with link to audio file, email with link and attachment, or no notification.